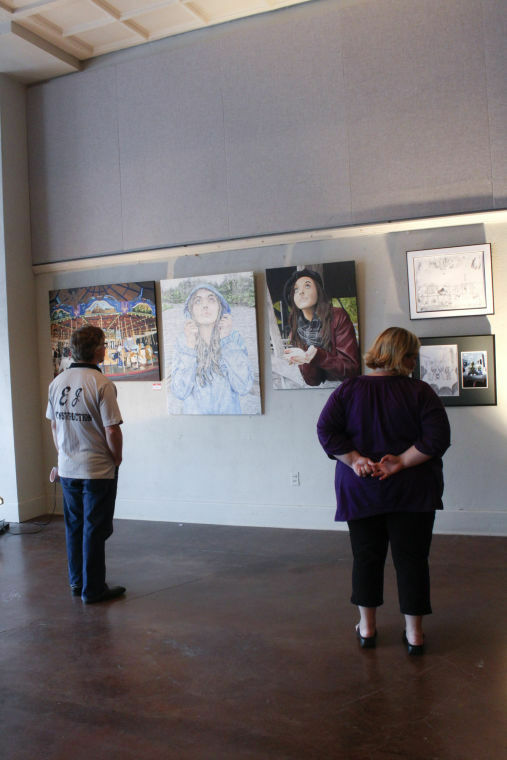 The Jacoby Arts Center held the Loosey Goosey production company’s Piasa Summer show, giving both local artists and artists from the Chicago area the chance to display their works. On display were works from current sophomore art studio major Bijan Mehmandoost, of Belleville, and SIUE alumnus Justin Marshall, of East Alton. Bijan and his brother Kamran Mehmandoost, a graphic design major at Southwestern Illinois College, were having their work put on display for the first time. Bijan used his inspiration to showcase a more urbanized style. “I like to take things that people see every day or something they might take for granted and really show the beauty behind it,” Bijan Mehemandoost said. As he discussed his work, his brother Kamran was doing a live painting exhibition in the space next to his. Both said they were a little nervous about being in their first show. While Bijan and Kamram were experiencing what it was like to have the art on display for the first time, Marshall took in others’ works as well as his own paintings. Marshall uses a variety of techniques in his painting but finds inspiration from Impressionists works such as Renior, Manet and Monet. 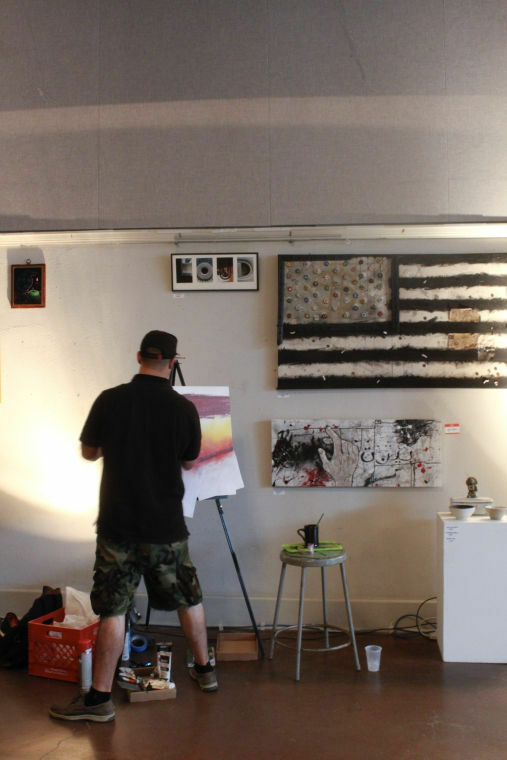 Even though Marshall graduated from SIUE with an MBA and currently works as a government contractor, he still loves to focus on his art and manages to find time to devote to it on a daily basis. Marshall said he took some art classes at SIUE, but switched majors after considering financial security. Despite the change, his paintings are still a big part of his life. Bringing mostly portraits to this show, Marshall showed his ability to catch small details in the people who helped make his paintings feel more alive. Even with his work already being displayed and purchased, Marshall stressed his need to continue to push himself as an artist. Though all three artists were in different stages of their careers, all agreed the show was a great opportunity to bring together local artists. “Art is such a great way to bring people together, and when you have an event like this, you get to see what everyone’s idea about art is,” Bijan Mehemandoost said. For Marshall, the show gave him the opportunity to get closer to the art community. “It is important for me to see what is going on, and I want to be close to the St. Louis art community,” Marshall said. Marshall will also be having his work displayed from 6-8 p.m. on July 18 by Lost Arts and Antiques in the Wildey Theater. The show will display even more of a variety of Marshall’s work including different styles and subject matter.